No naked mountain rescuers will be present when a new crime novel is launched in Ambleside. Unlike colleagues in a neighbouring team, who stripped off for a charity calendar, the members of Langdale and Ambleside Mountain Rescue Team will be fully dressed – and ready for action – at the book launch at their home base. But they do feature in the fictional tale of a half-naked body discovered below England’s highest mountain Scafell Pike …and one of the rescue team happens to be a former investigative journalist, who’s determined to find out what happened to “the body in the bog”. That’s the plot of the new crime novel set in the Lake District, In the Cold of the Night, by Andrew Bibby who is donating a percentage of all his sales fees to the Langdale and Ambleside MRT. 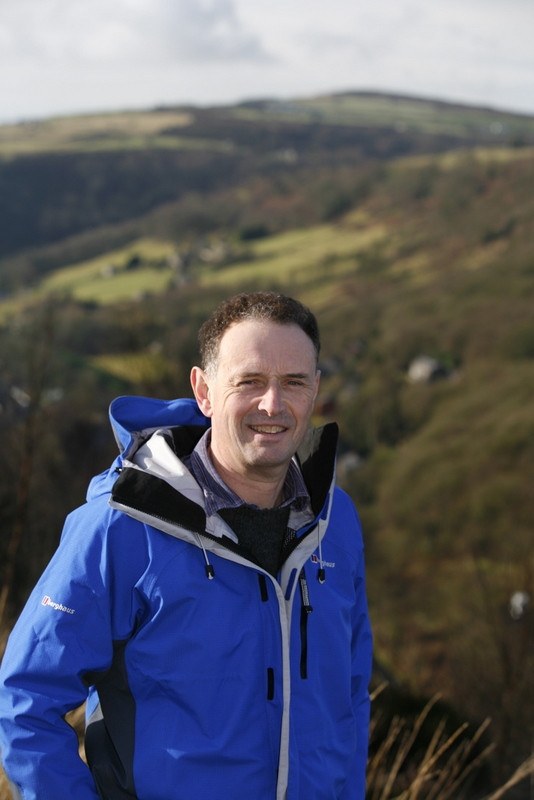 Journalist and fell-runner turned novelist, Bibby spent some time with mountain rescue teams learning about how they work before writing his latest thriller. It follows his earlier tale of murder in the mountains, The Bad Step, which is set on the Crinkle Crags ridge high above the valley of Great Langdale. Bibby will be at the rescue HQ in Ambleside on Thursday November 10 at 11am to talk about how he researched the story, and to announce a surprise treasure hunt for clues with a prize for the winner. Bibby is a professional writer whose work has appeared in The Guardian, The Independent and other national papers. He is the author of several non-fiction books about northern England landscapes, including the walking guide The Backbone of England. 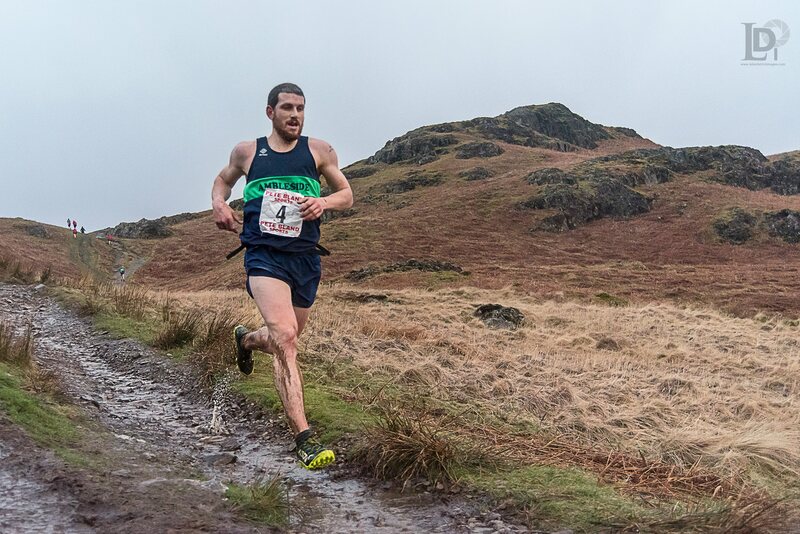 He’s a fell-runner and has completed many of the classic Lakeland fell races, and the Joss Naylor challenge. In the Cold of the Night and The Bad Step are published by Gritstone Publishing, and are now on sale in bookshops throughout the Lakes and beyond. Andrew Bibby will be signing copies of them at the launch, where refreshments will be served, and mountain rescuers will show visitors around their base. Everyone is welcome. This entry was posted in Uncategorized on October 27, 2016 by Stagey Lady. Fans of Arthur Ransome’s classic Lakes’ story Swallows and Amazons will have a chance to live the adventure for themselves next summer. 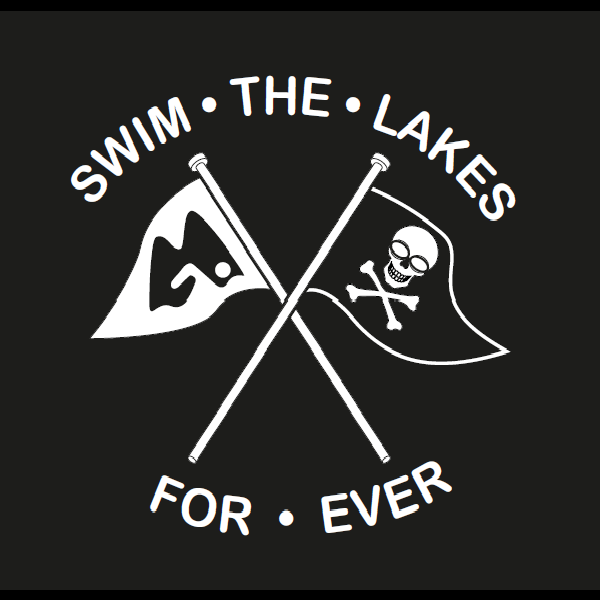 Ambleside-based Swim the Lakes are hosting a weekend activity holiday which includes a sail on “Captain Flint’s houseboat” and a swim to Wild Cat Island. The base for the weekend is Low Bank Ground on the shores of Coniston, next to the house, “Holly Howe” where Ransome’s family of “Swallows” spent their summers. The itinerary combines fantasy with reality, exploring the “Amazon river” and “Octopus lagoon” on Coniston as well as a picnic of grog and pemmican on Wild Cat island itself. There will also be a film night to set the scene, showing the original movie version of Swallows and Amazons. “This is a venture we couldn’t resist, especially with the release of the new film this summer,” said organiser Andrea Kelly. Ransome published Swallows and Amazons in 1930 and followed it with a series of books also set in the Lake District, with a fictional geography based on a combination of Coniston and Windermere. Devotees make pilgrimages to the island – real name, Peel Island – on Coniston every summer, and the model for Holly Howe, High Bank Ground Farm, has a Swallows and Amazons tearoom. “It’s a chance for the young at heart to lose themselves in a world of campfires, wooden boats, secret harbours and hidden lagoons, while having the experience of swimming in one of the loveliest of lakes,” said Andrea. 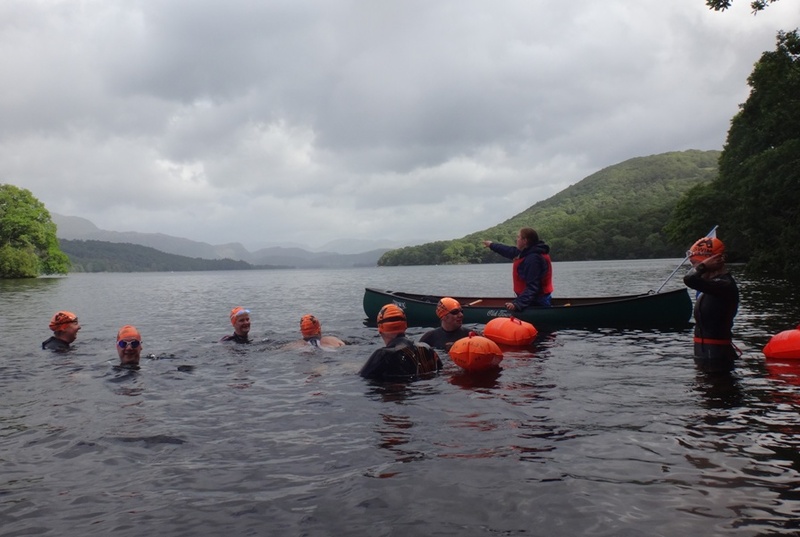 The holiday, next August, is suitable for those over 18 who are confident swimming in open water and can comfortably swim at least 2 km in open water (such as open lakes and sea). A moderate fitness level is needed as there will be some walking and “boarding of boats” involved. Meals and accommodation are included in the package. This entry was posted in Uncategorized on October 21, 2016 by Stagey Lady. A top UK sports coach is to stage a new series of technique and conditioning classes for runners in the South Lakes. Paul Tierney, who is the Born to Run UK master coach, will start the series of six classes on Wednesday November 9 at the Pavilion in Staveley. The classes are open to experienced athletes who want to improve technique and performance, and avoid injury, as well as newcomers who want to develop good running habits. The classes will take place both inside and outdoors so a high-vis vest or jacket, head torch and “grippy” shoes will be needed. This entry was posted in Uncategorized on October 14, 2016 by Stagey Lady. A chance to learn to paint at one of the leading galleries in the Lake District is being offered next month. A one day class for beginners will be led by watercolour artist Valerie Wood at the Heaton Cooper Studio in Grasmere on November 2. It’s a basic course, learning how to mix paint on paper, with an introduction to pencil lines and basic techniques to start watercolour painting. The inspiration will come from autumn foliage, at its very best in the Lakes. Those attending will need to bring paints, brushes and other equipment, but paper will be provided. 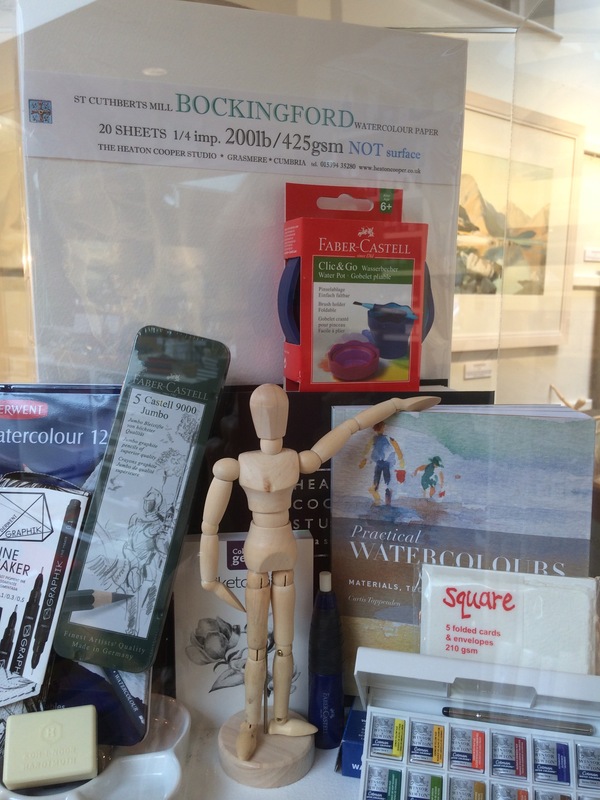 The Heaton Cooper studio sells a wide range of artists’ materials. This entry was posted in Uncategorized on October 13, 2016 by Stagey Lady. The half-naked body of a Three Peaks challenge walker is discovered below England’s highest mountain …and one of the mountain rescue team happens to be a former investigative journalist, who’s determined to find out what happened to “the body in the bog”. That’s the plot of a new crime novel set in the Lake District, and appropriately the launch of the book will be at the headquarters of the Langdale and Ambleside Mountain Rescue Team. Andrew Bibby , the novelist, is a journalist, writer and fellrunner who has spent some time with mountain rescue teams learning about how they work. And he’s donating a percentage of all his sales fees from In the Cold of the Night to the Langdale and Ambleside MRT. 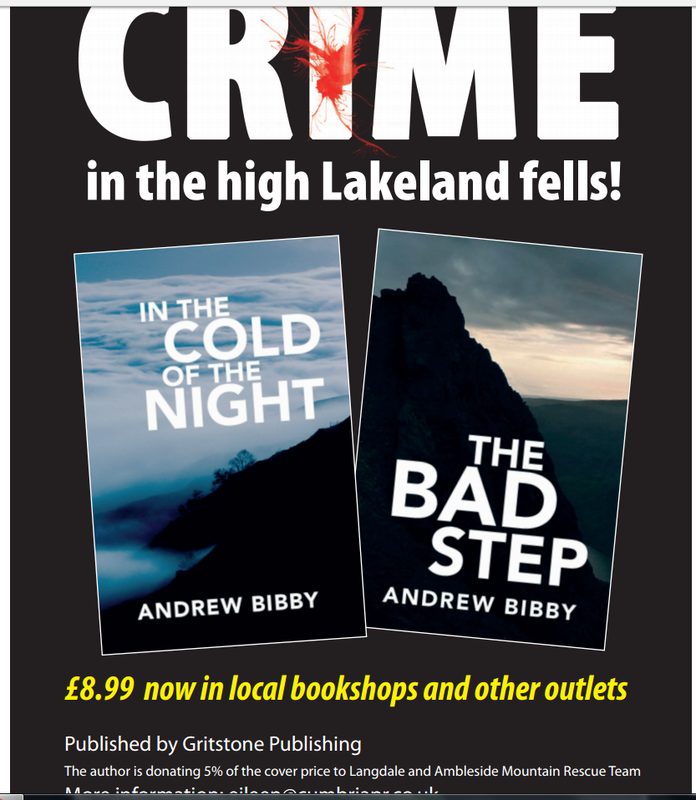 The publishers (Gritstone Publishing) are also reissuing Bibby’s previous Lakeland crime novel in a companion volume to In the Cold. The Bad Step, another murder story set this time above the Langdale valley on the mountain ridge called the Crinkle Crags, has to date been available only on Kindle. Bibby will be there to meet crime fans and mountain rescue supporters on Thursday November 10 at 11am , to tell how he researched the story, and to launch a challenge for walkers who might want to look for clues in the fells. Visitors will be able to meet some of the members of the team and look around their operations base, as well as meeting the author, to find out how “Richard Meade” met his death. One clue in advance: the body was found as a notoriously boggy spot on the route of the Wasdale fell race known as Pots of Ashness. Andrew Bibby is a professional writer and journalist whose work has appeared in The Guardian, The Independent and other national papers. He is the author of several non-fiction books about northern England landscapes, including the walking guide The Backbone of England. He’s a fell runner and has completed many of the classic Lakeland fell races, and the Joss Naylor challenge. This entry was posted in Uncategorized on October 11, 2016 by Stagey Lady. Flooding on the scale of Storm Desmond last winter is likely to happen again, a climate change expert has warned. Ashley Cooper, who has spent 13 years travelling the world to document the impact of climate change, says that communities in Cumbria and elsewhere in Britain – and the world – need to be on alert for more devastation. 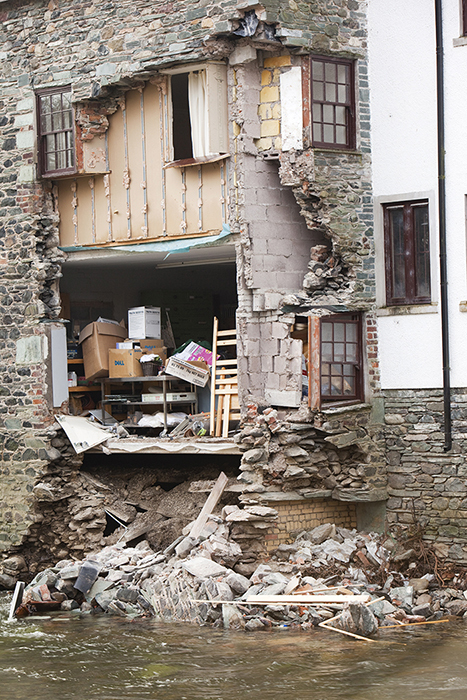 Cooper, a professional photographer who is based in the Lake District, says that flooding is one of the most visible signs of climate change, and is starting to affect communities that had thought they were safe. An exhibition of his photographs highlighting the impact of climate change across the globe will open in Grasmere next month. Images from a Warming Planet at the Heaton Cooper Studio will see a book of the same name published simultaneously. The opening of the exhibition will mark the start of the Kendal Mountain Festival which brings together lovers of the outdoors from across Britain and beyond. 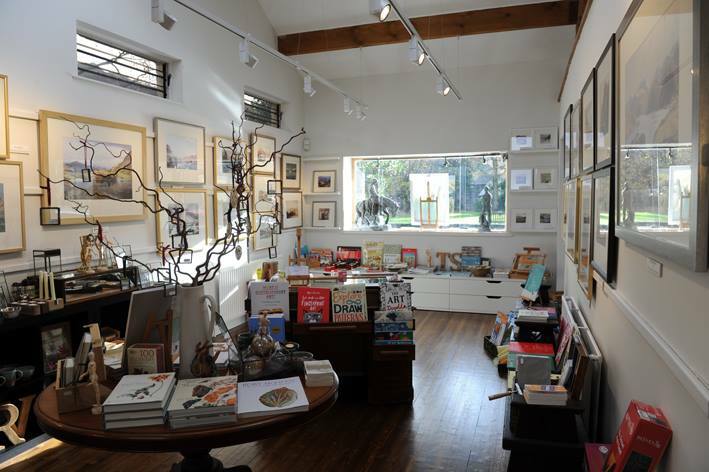 The Gallery has featured a series of exhibitions annually to launch the festival, including work by photographer Henry Iddon, and William Heaton Cooper’s drawings of Lakeland crags used in the definitive Fell and Rock Climbing Club climbing guides to the area, and functions as a centre of interpretation of landscape, as well as a showcase for the Heaton Cooper archive. Ashley Cooper, 54, has amassed world’s largest collection of pictures documenting climate change on every continent, from the Inuit communities of the Arctic to the coral atoll islands of the Pacific Ocean. His book includes more than 500 dramatic images which, he says, are truly shocking, and a selection of the photos will be on display at the studio; the book – with a foreword by leading environmentalist Jonathon Porritt – will be on sale. 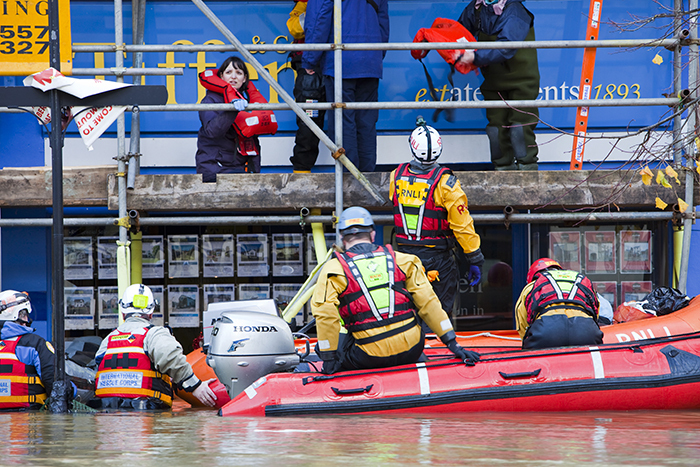 RNLI and Mountain Rescue volunteers rescuing flood victims from a house in Cockermouth. This entry was posted in Uncategorized on October 10, 2016 by Stagey Lady. A Windermere open day is to take visitors on a virtual journey of adventure into the mountains next month. Sound and visual tech wizards Epixx are joining forces with the Kendal Mountain Festival to showcase a taster of films and photos before the international festival opens a few days later. Epixx Adventures will feature spectacular films of climbing, mountain biking, snowboarding and ski-ing on a home cinema screen with 13 speakers to show off the latest Dolby Atmos technology. At the same time the open day, on Saturday November 12, will be a preview of the UK’s award-winning premier mountain film festival, hailed as the most diverse event of its type in the world. The open day will also feature a preview of an unusual new exhibition by photographer Henry Iddon whose talks will highlight the common ground of old and new technology in pictures. Iddon will present a preview of his exhibition, Instanto Outdoors, which is to open in the Lakes in the New Year. With the aid of an Arts Council grant, Iddon’s project was to photograph contemporary mountain sports, and mountain landscapes, using an antique Underwood Instanto camera previously owned and used by pioneering photographers George and Ashley Abraham. Epixx, the young team which is transforming synchronised lighting, sound and screen experiences in homes and hotels throughout the country, is staffed by mountain and outdoor enthusiasts and led by snowboarders and mountain bikers Matt Holmes and Ben Tomlinson. They set up Epixx in 2014 to supply top of the range audio-visual systems, home cinema, and lighting systems. They now have a staff of six, with a customer base and a tripled turnover way ahead of their forecasts. In two years they have kitted out some of the most impressive homes, hotels and restaurants in the north including sound and lighting systems for the Church Suites at the Cranleigh Hotel, Bowness; and the entire electrical, sound, lighting, music, TV and security systems for the new Fizzy Tarte champagne bar in Bowness. They are now the main AV contractor for the NW Design Centre in Manchester, the industry leaders for interior fit out and refurbishment projects, who design and manufacture innovative furniture to bars, restaurants and hotels throughout the UK and Europe, and for whose showroom Epixx installed all the AV systems. And they have a new deal to install sound systems in VIP boxes at Leicester Tigers rugby ground. Epixx operate sustainably, providing options that not only monitor energy usage, but are intelligent enough to adjust the heating or air conditioning to focus on rooms in use and significantly reduce wasted energy. “But we are also outdoor enthusiasts and are we are delighted to work with the Kendal Mountain Festival whose vision is to inspire more people to explore, enjoy and represent mountains, wilderness and their cultures,” said Matt. The open day will be staged at the Epixx showroom in Woodland Road, Windermere, from 12noon on November 12, with refreshments served throughout the day. Henry Iddon’s talks are scheduled for 2pm and 3.30pm, and there will also be a trailer film for the mountain festival. Admission is free. The famous Instanto camera was used by the Abraham brothers at the end of the 19th century, and was taken out into the hills again two years ago, to shoot an ascent of Central Buttress of Scafell on its 100th anniversary at Easter 2014 and also to film James McHaffie soloing during his 100 Lake District ‘extremes’ in 24 hours challenge. The exhibition will be staged at Keswick Museum starting in January 2017.